Barry M. Ward Co., LPA is the law firm that you need on your side when you need legal representation. We have been serving Akron, Ohio and the surrounding cities in Summit, Stark and Portage Counties for over 30 years. Barry M. Ward Co., LPA is a very experienced, professional and compassionate Akron law firm with a successful track record in cases involving personal injury, medical malpractice, wrongful death, criminal defense and probate. We adhere to the highest standards of professional and legal ethics and strive to achieve the best possible results for our clients. 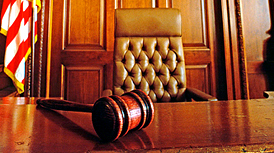 Most clients seek reliable consultancy, responsible legal counsel and responsiveness in attorney. They want someone who can deliver justice. With over 30 years of experience representing Akron, Ohio and surrounding areas, Barry M. Ward has evolved as the go to lawyer for various legal concerns. is one of the leading and most skilled practitioners specializing as a personal injury, wrongful death, Akron DUI, medical malpractice and probate lawyer. We are committed to helping you through your legal battles to achieve the best possible results in your favor. Copyright © 2018 Barry M. Ward Co., LPA. CANTON & AKRON, OHIO. All rights reserved.